Enter one equation per line. 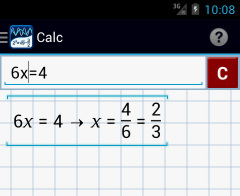 Do not forget to add “= 0” if the equation is written in the general form: ax + b = 0. 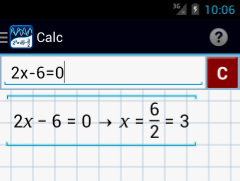 2) Enter the equation as it appears in the problem: 6x = 4. The solution is 2/3.